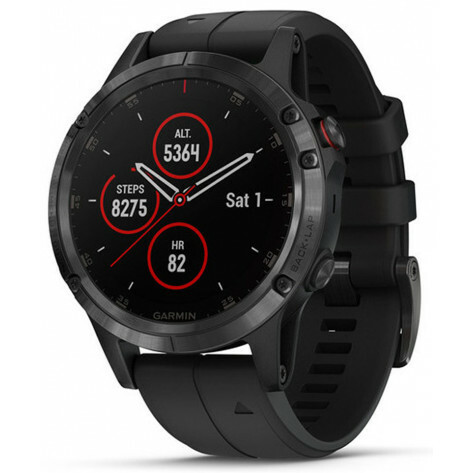 The Garmin Fenix 5X Plus Sapphire Men's Watch are the high-performance way to beat yesterday and bring your maps and music along. These rugged, premium-crafted watches feature routable colour mapping, wrist-based heart rate, storage for up to 500 songs and our Garmin Pay contactless payment solution. For athletes and outdoor adventurers who want the ultimate in a multisport on-wrist trainer, the ultra-rugged fēnix 5X Plus is here. 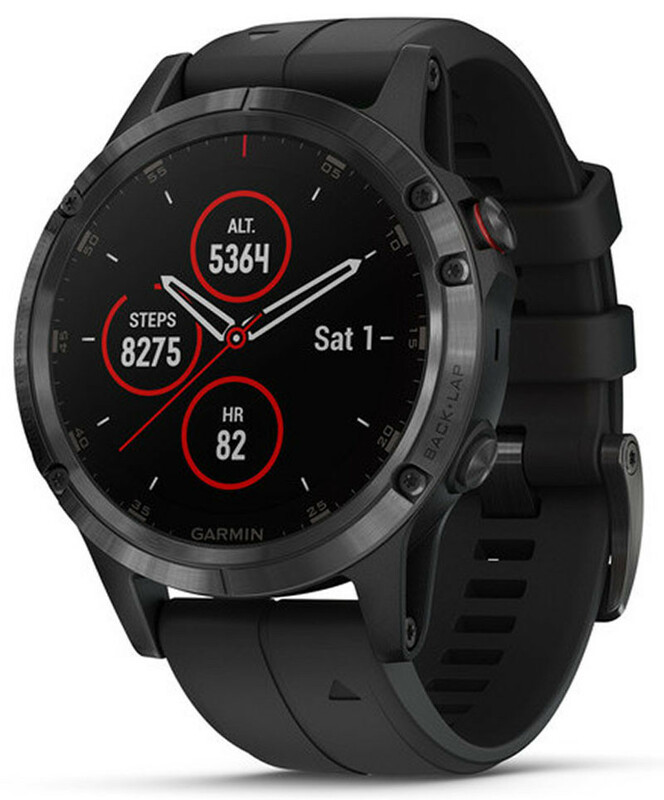 It’s Garmin's first fēnix series watch to offer a wrist-based Pulse Ox Acclimation sensor for blood oxygen saturation awareness at high altitudes. Other highlights include routable colour TOPOActive Africa maps, wrist heart rate, a music player that lets you store and enjoy up to 500 songs - plus Garmin Pay, Garmin's contactless payment solution. Whether you’re in the city or on the trail, all Fenix 5 Plus Series watches provide built-in mapping and navigation features to help keep you oriented and on course. Full-color TOPO mapping comes preloaded with map data optimized for at-a-glance navigation and location tracking. For runners and cyclists, the device also features Trendline popularity routing, which uses billions of miles of Garmin Connect data to help you find and follow the best trails and routes. 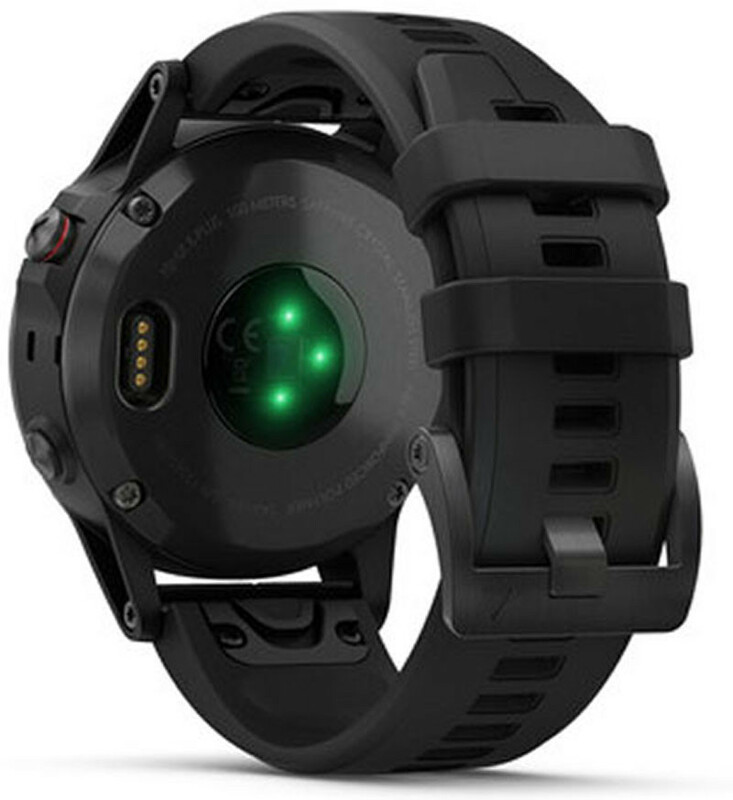 Every Fenix 5 Plus Series watch features multinetwork (GPS, GLONASS and Galileo) satellite reception to track in more challenging environments than GPS alone. In addition to map-based guidance, each watch also provides a set of ABC (altimeter, barometer and compass) sensors for outdoor navigation. 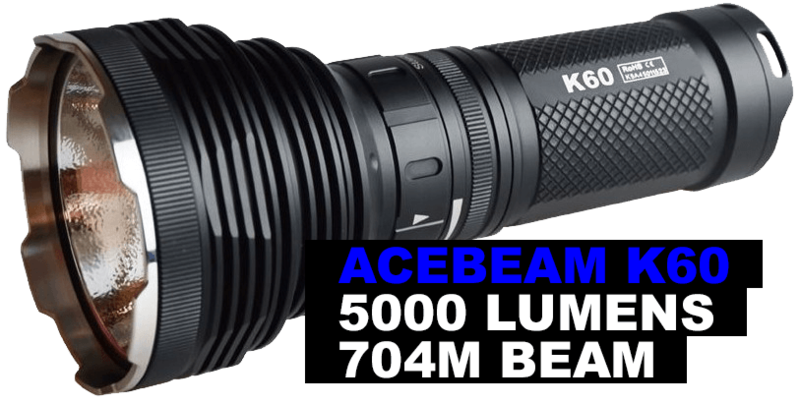 The built-in altimeter provides elevation data to accurately monitor ascent and descent for activities such as hiking, while the tilt-compensated three-axis electronic compass keeps your bearing - whether you’re moving or not. When the terrain gets steeper and you have some serious climbing ahead, your fēnix 5X Plus has special ascent features that can really help. The ClimbPro widget provides real-time information on current and upcoming climbs. See the climb gradient, distance and elevation gain for each ascent segment as well as a progress marker that shows how much farther you have to go. 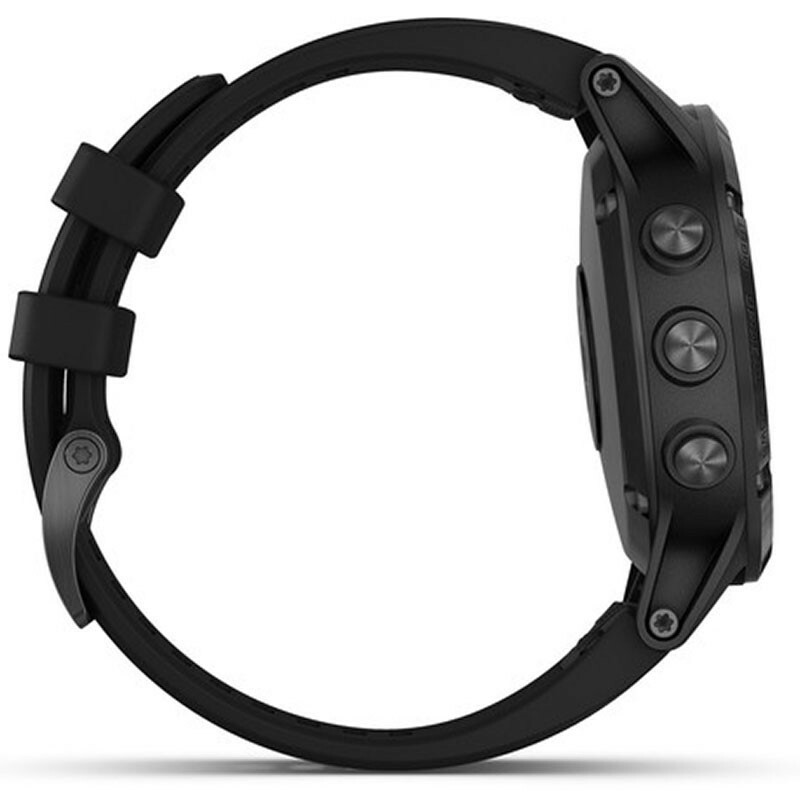 On strenuous climbs, the watch’s Pulse Ox Acclimation sensor provides additional information. This sensor uses light beams to gauge the absorption of haemoglobin in your bloodstream, so you can assess how well your body’s oxygen levels are adjusting to the thinner air at higher altitudes. When you’re pushing your limits, you need a decisive edge. fēnix delivers with sophisticated training features to monitor your form and performance. Tap into physiological metrics, running dynamics and more to track your workout stats, measure your progress and fine-tune your form. Training status automatically evaluates your recent exercise history and performance indicators to let you know if you’re overtraining, maintaining or peaking. You can also view your overall training load, which measures your exercise volume from the last 7 days and compares it to the optimal range for your fitness and recent training history. Special preloaded activity profiles are provided for swimming, running, biking, hiking, skiing, rowing, paddle boarding and more. For added motivation, download advanced workouts and training plans from Garmin Connect. Got a power song that gets you pumped up for a race or tough workout? Now you can have up to 500 songs stored right on your watch, for phone-free listening on the go. It’s easy to transfer music from your computer and then queue up your favourite playlist for easy listening through compatible Bluetooth headphones (sold separately). You can even sync your carefully crafted playlists from select music streaming services to your watch for more ad-free listening. So leave your phone behind when you head out for a run or ride, because the music that keeps you moving is right there on your wrist. Built for rugged adventures and crafted of the finest premium-grade materials, this version of the fēnix 5X Plus is available in a PVD-coated stainless steel bezel with a black treated silicone watch band. A bright, high-resolution, full-colour transflective Garmin Chroma Display with LED backlighting assures readability in all ambient conditions even under intense sunlight. For added scratch resistance, all fēnix 5X Plus series models incorporate a high-strength domed sapphire lens.